Last week, ChiroWay chiropractors got together for our annual conference in Duluth, Minnesota. Throughout the weekend, we were able to visit ChiroWay of Duluth, owned and operated by Danielle Berger, DC, as well as participate in training sessions to help us serve our members even better in the coming year. Since the first ChiroWay Center opened in 2010, we’ve grown to 8 locations. 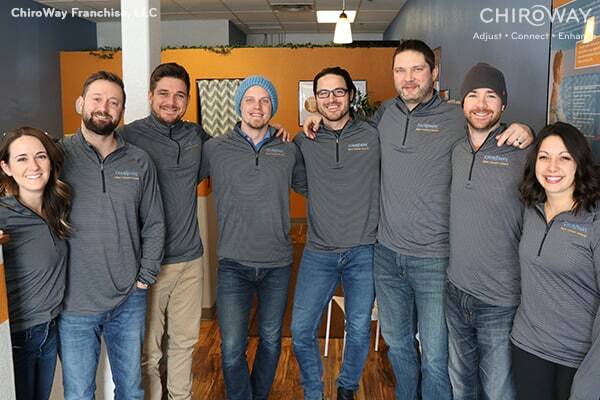 The expansion and reach we’ve achieved has only been possible through the hard work and dedication shown by each and every one of our ChiroWay Center owners and team members. Thank you for being a part of our ChiroWay community. We truly appreciate each member of ChiroWay because, with your support, we have the opportunity to do what we love everyday. We look forward to serving you convenient and affordable chiropractic care in 2019, and for the growth to come in our ChiroWay community!